Non-small-cell lung cancer (NSCLC) is the most common form of lung cancer. Gefitinib is one of the most accepted therapies against NSCLC in those carrying EGFR mutations, but it is only effective in approximately 20% of patients with NSCLC. Thus, alternative therapeutic interventions are urgently needed to overcome gefitinib resistance. Glutaredoxin (GLRX) plays a key role in oxidative stress. However, whether GLRX inhibition could enhance gefitinib efficacy in the gefitinib-resistant NSCLC cells is unknown. In this study, we aimed to determine whether combined inhibition of GLRX could enhance growth-inhibitory effects of gefitinib in gefitinib-resistant NSCLC cells. Real-time PCR and western blotting were used to examine the mRNA and protein levels of GLRX in gefitinib-sensitive PC9 and HCC827 and -resistant human lung adenocarcinoma PC9R, HCC827R, and H1975 cells. Cell Counting Kit-8, flow cytometry, JC-1 staining, and reactive oxygen species (ROS) assays were used to evaluate cell proliferation, cell cycle progression, mitochondrial membrane potential, and ROS generation, respectively. Mouse tumor xenografts were used to assess the effect of GLRX in vivo. We found that GLRX was upregulated in gefitinib-resistant PC9R, HCC827R, and H1975 cells. GLRX inhibition enhanced the effects of geftinib in gefitinib-resistant cell proliferation in vitro and in vivo and promoted apoptosis and cell cycle arrest via the EGFR/Forkhead Box M1 (FoxM1) signaling pathway, indicating that combined inhibition of GLRX could enhance growth-inhibitory effects of gefitinib in gefitinib-resistant NSCLC cells. 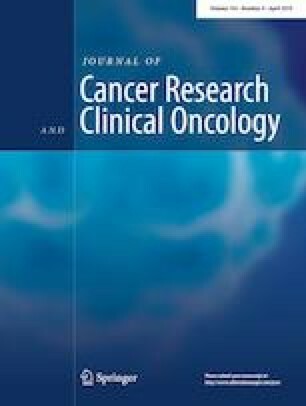 Our results suggest that GLRX inhibition enhances the effects of geftinib in EGFR-TKI-resistant NSCLC cells. Thus, GLRX may represent a therapeutic target for increasing the efficiency of gefitinib treatment. Linlin Wang, Jing Liu, Jinguo Liu contributed equally to this work. Jian Zhou, Chunxue Bai, and Yuanlin Song conceived and designed the study. Linlin Wang, Jing Liu, Jinguo Liu, Xiaoyan Chen, Meijia Chang, and Jing Li performed the experiments and statistical analyses. Linlin Wang, Jing Liu, Jinguo Liu, and Xiaoyan Chen wrote the paper. All authors read and approved the final manuscript. This work was supported by National Science & Technology Major Project “Key New Drug Creation and Manufacturing Program” (no. 2018ZX09201002-006), Natural Science Foundation of China (no. 81570028, 81770039, and 81400018), Zhongshan Hospital Clinical Research Foundation (no. 2016ZSLC05), National Key Technology Research and Development Program of the Ministry of Science and Technology of China (2013BAI09B00), the State Key Basic Research Program (973) project (2015CB553404), and Project of Natural Science Foundation of Shandong Province (ZR2016HL39). Authors have no financial, professional, or personal conflicts to disclose. Animal experiments were approved by the Research Ethics Committee of Zhongshan Hospital, Fudan University (Shanghai, China) and all applicable international, national, and/or institutional guidelines for the care and use of animals were followed. No human participants were used in this study.